Whatever you sell in your store, you should also be selling online. Not because it’s the latest trend. Not because your competition is doing it. It’s simple: because your customers are shopping online! That’s why you should be selling online. At one time grocery stores only used paper bags. Then they offered customers paper or plastic. They didn’t get rid of paper bags; they added a second option. Now customers are encouraged to bring a reusable bag as a third option. Likewise, engaging in ecommerce doesn’t mean you should close your brick-and-mortar shop. You need to expand options for your customers. You need to do both so your customers can choose the option that works better for them. Selling online benefits you because you’re now open for business 24/7. And you don’t need to hire a security guard or schedule a shift for cashiers, or pay overtime to any employees. You spend enough hours keeping your brick-and-mortar store open, so keeping those doors open 24/7 has little appeal. Selling online means your shop is open even when you’re asleep. You could open a second or third shop in other locations to attract new customers, but that’s costly. Selling online opens your doors to anyone with access to the Internet. Your customers benefit because they can now shop on their schedule from the comfort of their home or even on the go. And home can be far enough away to make shopping at your brick-and-mortar store impractical or even half way around the world. So that’s another benefit for you: “anywhere anytime” means an expanded customer base! You aren’t paying for additional space and utilities for your inventory. You aren’t paying wages for employees to work those extended hours. The cost of setting up shop online is considerably less than opening a brick-and-mortar shop! Keeping your overhead low benefits your customers because you can pass along the savings to them without sacrificing your profit margin. Your website allows you to educate your customers with more in-depth product information and how-to videos. You highlight your expertise while marketing your products. It’s a great way to build your brand while you provide good old-fashioned customer service. Customers benefit by finding the information they need to make more knowledgeable purchases. So why would you provide product information for potential customers without also providing the means to make the purchase? Close the sale! Let them make the purchase online! Another reason you should be selling online is that it allows you to easily offer your customers the opportunity to personalize their purchases. Capture customers who would otherwise browse and move on when they don’t see quite the right size, shape, or color. Your customers benefit because they can get exactly what they want. What’s better than that? Selling online doesn’t have to mean you lose the ability to suggest additional products. In your dress shop you direct a customer’s attention to accessories that complement the dress she tried on. You can do the same online. You benefit from selling more products. Your customer benefits because your “you might also be interested in” suggestions saved them time. You did the searching for the customer. There will always be brick-and-mortar stores, but taking your business online provides you with flexibility. You can manage your online business from home, from your storefront office, or from the beach. You’re no longer tied to a physical site. Customers also enjoy the flexibility online shopping provides. What’s more frustrating for a customer than driving to the store only to find out that you’re out of the product they’re looking for? Ordering online ensures that the trip isn’t a waste of time. Online orders can be shipped directly to the customer or if the customer prefers, they can order online and pick up in the store. Do you need more reasons for selling online? There are plenty of other benefits just for business owners. After you set up shop online, you’ll have access to analytics that will keep you on top of your business. Your site can track purchases, including items that are removed from a shopping cart. You gain incredible insight into customer behavior and preferences. You can also use customer reviews to compensate for the limitations of shopping online. Customers can comment on product qualities that images alone don’t reveal. Were the colors what the customer expected? Was the fabric high quality? You’re convinced that you need to be selling online. Now what do you do? 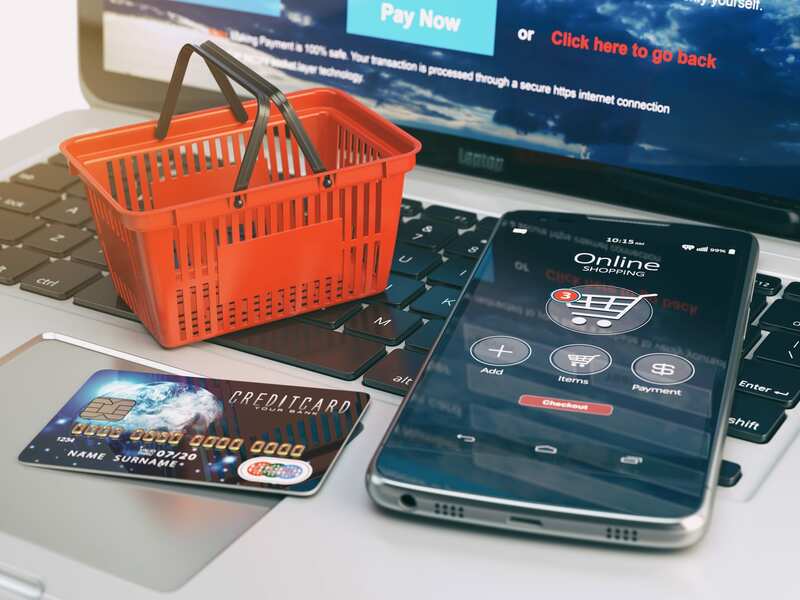 Just as you wouldn’t open a second shop without planning in advance, you shouldn’t jump into ecommerce before addressing the issues that concern your customers most. Security is a customer’s single biggest concern with online purchasing. Given some of the breaches over the past couple of years, customers have reason to feel leery about cyber security. You need to assure them that all financial transactions are secure. Also make sure that your customers’ other personal information is secure. Assure them that you won’t sell their information to third parties. No one enjoys being bombarded by spam. Your customers will thank you. Whether you currently have a business website or not, Solutio can help you make the leap to selling online. You have a lot at stake. You need a secure site so your customers won’t worry about breaches. We’ll build security into your site so your customers can shop safely. But you also need a site that encourages customers to browse and buy. Solutio’s team of experts can help with that, too. We’ll make certain that customers can quickly find the products or services they’re searching for. We’ll also make sure customers can easily access product information and how-to videos. Your website should work for you as well as your customers, so Solutio will also help you behind the scenes. We’re experts at data integration. Your ecommerce website will compile the information you need to make smart decisions, increasing your bottom line. When you’re ready to take that leap into ecommerce, give us a call at (989) 486-9283, contact us, or visit our offices. Consultations are free. So is the coffee. We’ll walk you through the process of taking your business online. With Solutio, you’ll make the shift from “you should be selling online” to simply “selling online.” What are you waiting for?